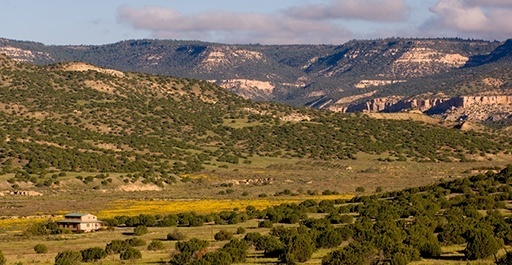 The 46,000-acre Lobo Ranch is located in one of the most culturally and historically diverse areas of New Mexico. Settled at the southeast corner of Mount Taylor, Lobo Ranch holds geological evidence of volcanic activity that formed the mountain 2.5 to 3.3 million years ago. The earliest human habitation occurred during the Paleo-Indian period; later inhabitants were the Anasazi Indians, forebears of the later Pueblo Indians.